This Baroque pendant incorporates a smooth and artistic design that would flow with any room. 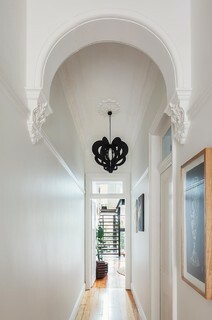 The Baroque pendant / lamp is made with Australian timber and is 100% Australian grown, designed and made. 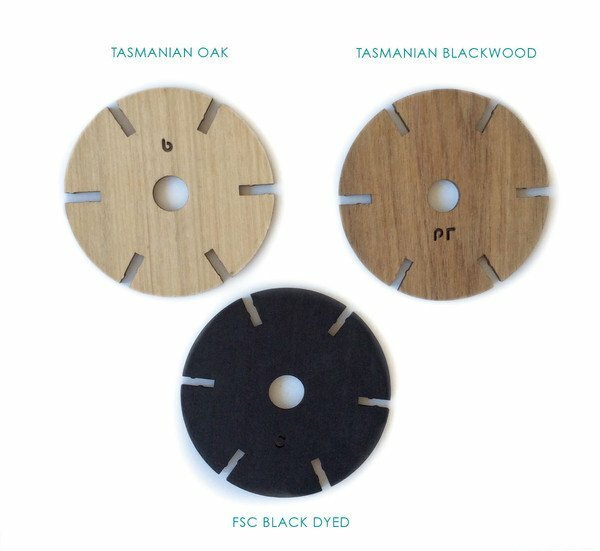 Comes in three timber veneers; Tasmanian Oak, Tasmanian Blackwood and Liquid Amber (Black). Electrical Components: Each light comes with flex and a bulb-holder for a pendant installation – you can select what colour these components come in – white or black. This is for ONE pendant only – images showing different colours in sets and different installation (lamp/pendant). Pendant lights require installation by a qualified electrician, can also be used as a table lamp for a DIY installation. Ceiling rose and light globe not included. No change of mind returns accepted. This Baroque pendant makes for a stunning statement for any room. The timber provides a softness while it’s design is a show-stopper. A popular and versatile design, the Baroque pendant can be installed as a pendant light or turned upside down and used as a lamp. It’s design is influences by the Tasmanian landscape and history – its elegant style is a partnership of the island’s continental heritage and 21st century certified local timber. Each eco-veneer product is made from a natural product, therefore variations in timber colour can occur. Lights are delivered flat packed in a securely cushioned recyclable box and have an easy tool-free assembly. Pendant lights require installation by a qualified electrician, can also be used as a table lamp for a DIY installation.